Hello, eP friends! It's Broni and I'm your host today! I made a cute card with a clean design to share with you! I recently received a goodie box from eP with all sorts of scrumptious crafting supplies. And I couldn't wait to play with this Lil' Sweet Peps stamp set with coordinating Sweet Pieces Snapshot Fun die. 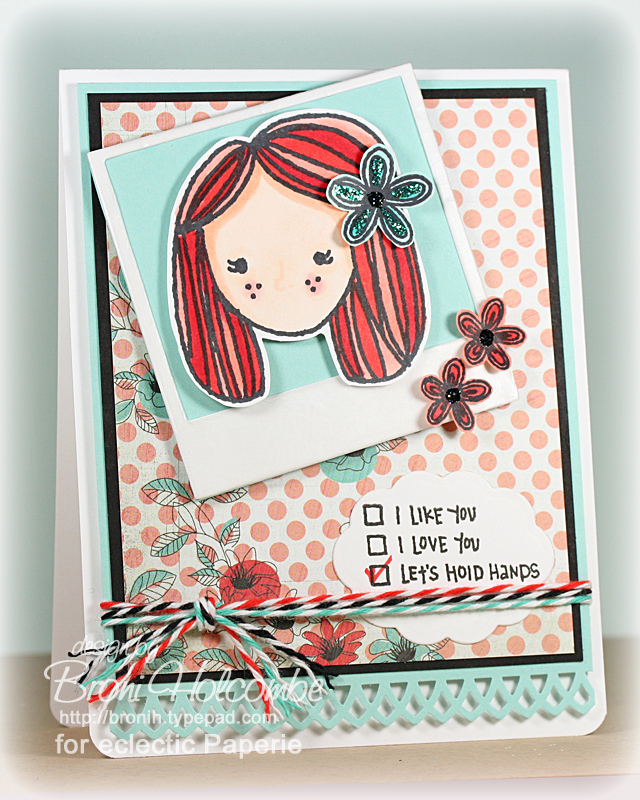 I stamped the little girl and the 3 flowers, colored them up with my Copic markers (shown below), and cut them out. The snapshot die is awesome! 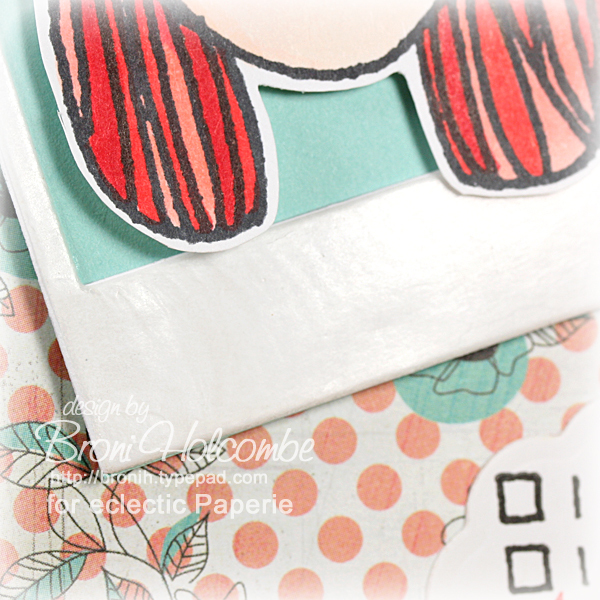 I use wax paper between my dies and cardstock when I cut them to avoid the "dirty" edges that dies will sometimes leave. When I pulled the snapshot frame from the die, the wax paper was still on it and I couldn't believe how much it really looked like a true "Polaroid" picture frame. So I used a couple of tiny, strategically placed, dots of Ranger Glossy Accents to permanently adhere it. Can you see the slight shine to it? Very cool! You could also just use some glossy paper! I also used some Ranger Stickles (Aqua and Black Diamond) to give the flowers some sparkle. The patterned paper is from the Basic Grey What's Up 6x6 paper pad and I thought it lent just the right amount of whimsy to complement the images. I used some foam tape to mount the girl to the frame and the frame to the card. Then I stamped the check list and attached it. How cute is it?? I used a Copic marker to check the "Let's hold hands" box! Lastly, I tied it all up with 3 different colors of twine (Mandarin Orange, Caribbean, and Charcoal). That's it! This is a fun card, and wouldn't the check box sentiment be perfect for Valentine's Day cards? Darling creation Broni, love it!!! Broni this is absolutely adorable. I just love the cute little check box sentiment! Beautiful card, Broni. I love the paper, the image and the die you used. In short...everything!